Children with a history of trauma often “act out” their distress through behaviors that are challenging for adults to understand. 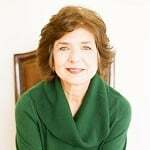 This session, presented by Barbara Sorrels, Ed.D., author and child development expert, will focus on understanding the message of challenging behavior and strategies to help children heal. First hand experiences from work in a therapeutic preschool will be shared. Define complex developmental trauma and how it impacts the development of child’s brain. Understand the impact of trauma on children’s behavior and functioning in group settings. Identify key strategies for effecting behavioral change in children with a history of trauma.